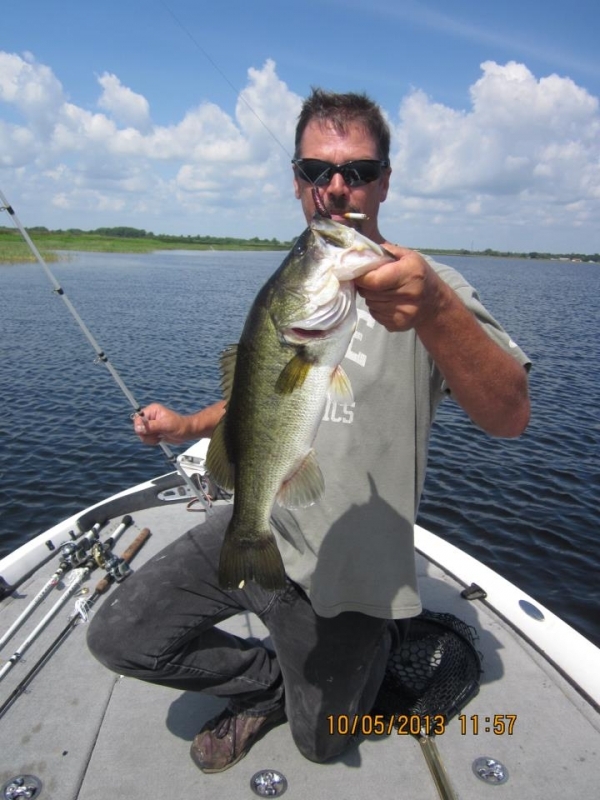 Lake Toho Largemouth Bass Fishing - Lake Toho Guides - The Ultimate Orlando Fishing Experience. artificial baits. Senko type baits, worms and spinner baits were producing some good numbers for us as well as some quality bass. Picture perfect morning with a slight breeze had us working shallow water areas and we watched the bass school in several areas this day, but we opted for the search of the beast, and she did not let us down on this day. 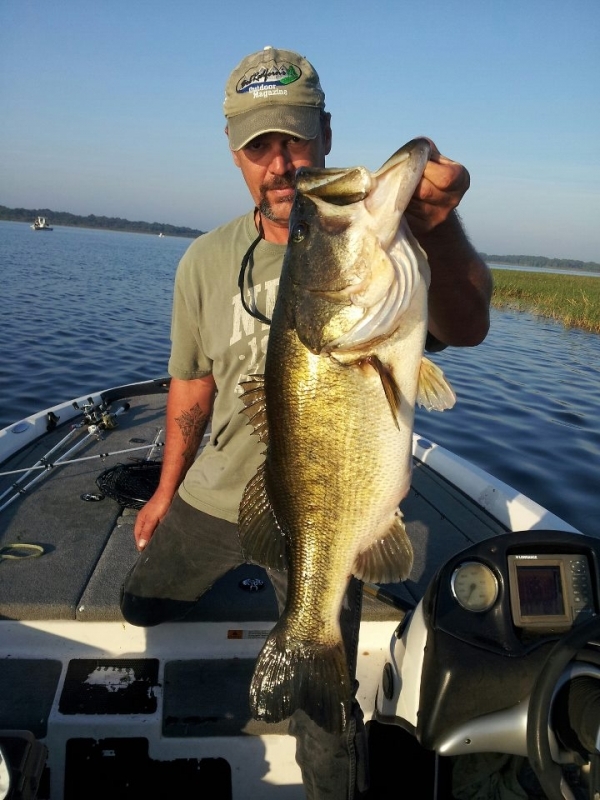 Less than an hour into the day this sweet hawg hit one of my own hand poured lures, she put on a great fight thru the hydrilla and was weighed in on the official scales at Toho Marina and a sweet 9.8 pounds, our best five coming in at 22 pounds. Not bad for only 4 hours of fishing.